Very close to the sea and only 5 minutes drive from the Valley of the Temples. 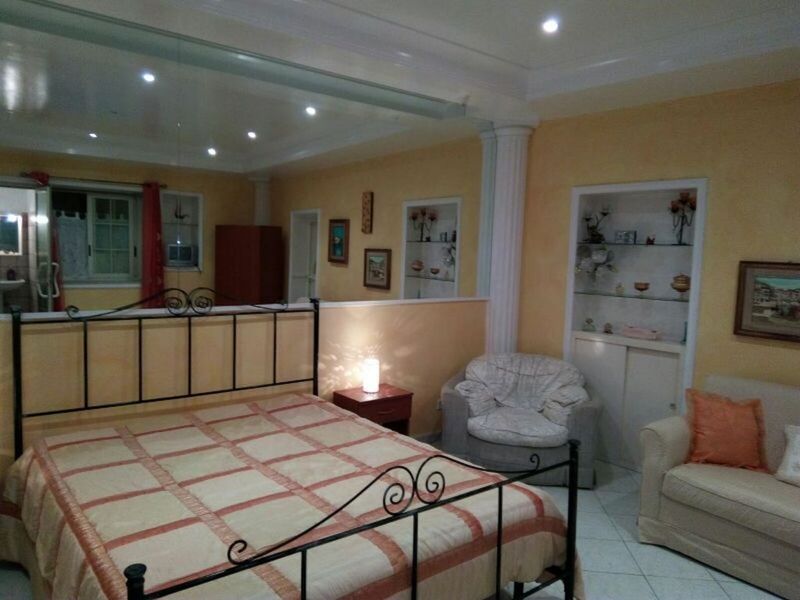 Apartment in the center of San Leone, a few seconds walk from the seafront. Ground floor, composed of: large bedroom with 1 double bed, bathroom with shower, kitchen, outdoor veranda with table and chairs. Fully furnished. Bright and fresh. Beaches and promenade just 150m. 45sqm. TV, washing machine, fridge, crockery, coffee maker. Owners upstairs. Linen not included. Property not subject to the energy certification obligation. Ho soggiornato in questo appartamento insieme a mia sorella dal 20/07 al 25/07. Appartamento molto luminoso e tranquillo; tutto pulito e ben organizzato. Eravamo davvero a pochi passi dal Lungomare di San Leone, posizione perfetta specialmente per la sera. I "proprietari" sono stati molto gentili e ci hanno aiutato in qualsiasi momento. E' stato un vero piacere ospitarvi, auguro a tutti degli ospiti come voi, gentili ed educatissimi. Grazie!